Could a Socceroos squad full of youngsters win the World Cup? 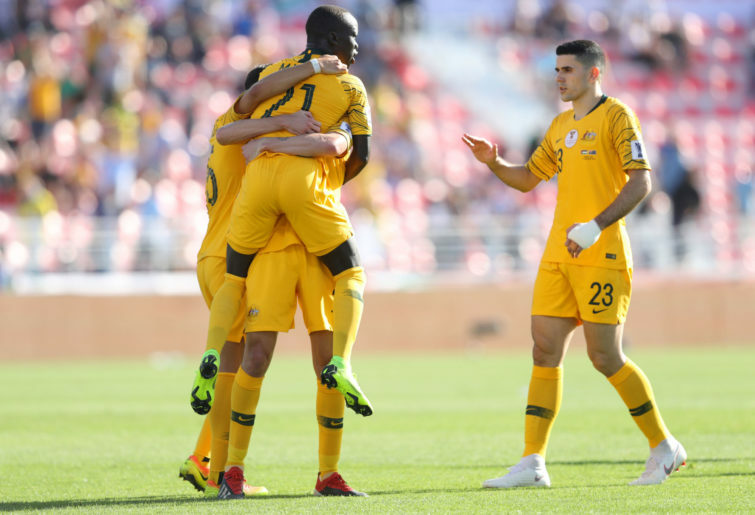 In the recent Socceroos campaigns in Russia and the UAE, it has become quite apparent the playing squad needs a serious shakeup, based around exciting young players at its core. The 2018 World Cup campaign in Russia really set the alarm bells ringing and put the spotlight on Australia’s lack of good strikers and quality finishing. Not a single goal was scored from open play in their three group matches and in the final game against Peru, the players in the starting front four had just 28 goals from 201 games between them, or less than one in seven. The Asian Cup in the UAE which has just passed has similar overtones but also had a few positive signs for the future as well when it comes to young player stocks. Australia had five games all up with three group stage matches and two in the knockout rounds, but importantly, goal scoring was still a problem, failing to score in three of the matches. When they did score however, most of the goals didn’t come from actual forward strikers. There were three goals against Syria and another three against Palestine. Awer Mabil Scored twice and Chris Ikonomidis once, but both are wingers. Tom Rogic scored one goal but he’s an attacking midfielder, not a striker. The remaining two goals which did come from strikers came from Jamie Maclaren and Apostolos Giannou, neither of which have been reliable or prolific strikers for the national squad. In Giannou’s case, he has only scored twice from ten appearances for Australia and three times from 21 matches for current his club AEK Larnaca in Cyprus. In both campaigns, it was young players who were the light in the darkness. 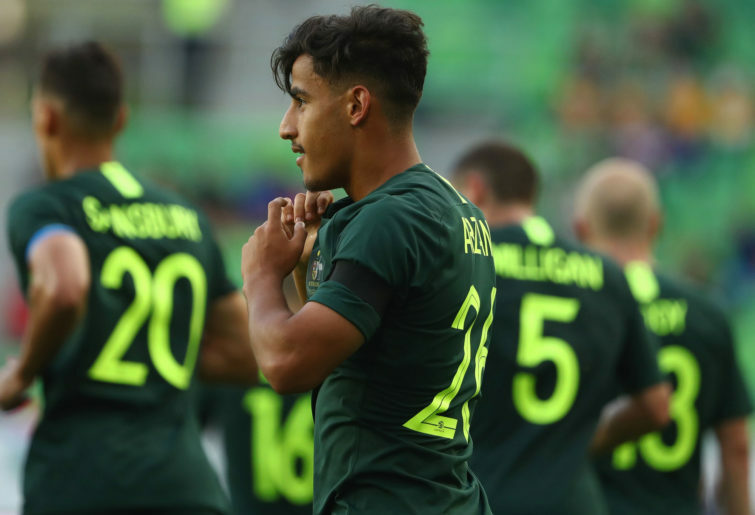 In Russia, it was the 19-year-old Daniel Arzani who quickly stood out as soon as he had the chance to come on. Then, in the UAE, it was Awer Mabil and Chris Ikonomidis who stole the show, both 23. Rather than taking a conservative approach to team selection by sticking with players who have experience but who have repeatedly failed to find the back of the net, it needs to be a complete refresh. Of the squad that took part in Russia, the only midfielders I would consider keeping would be Aaron Mooy, Massimo Luongo and Arzani. It’s not worth persisting with anyone else, and certainly not the strikers. Even then, Mooy is 28 and Luongo 26, so both will be over or pushing 30 by the time the next World Cup comes around and another campaign after that would be difficult for them. Matthew Leckie isn’t too bad, but he’s 27 and faces competition from younger players and this is where the focus should be for the next campaign with an eye on building a new squad for the future. Recent squads have failed to live up to the legacy that was left by the golden generation of 2006, but thankfully another looks like it could be just around the corner. Even though it’s hard to pick winners, there are a number of young players who stand out from the rest and have a strong potential of becoming future Socceroos. I’ve narrowed them down to a list of 15. With Arzani’s participation and his stand out performance in Russia, he makes the cut, as do Mabil and Ikonomidis who, likewise, stood out in the UAE. They’ve already played for the Socceroos. While it would have been a good opportunity for him to take part in the UAE, he didn’t participate, but he looks like he has the right stuff for the future. A player who came through the Melbourne City academy, Najjarine has been said to be even better than Arzani by some who’ve seen him. If he really is better than Arzani, then he’ll make the cut. Iredale was at Sydney FC and made an appearance in a friendly against Arsenal, but quickly moved overseas to Dutch club SC Heerenveen and hopes to soon break into the regular squad in the Eredivisie. He was also selected for the training camp in Turkey by Graham Arnold who was his coach at Sydney FC. Arnold also said he chose him with the view of selecting him for the Olympic Squad next year in Tokyo. After a standout season with Western Sydney Wanderers’ youth squad, he was soon spotted by Melbourne City who signed him for the current A-League season. He’s a prolific goal poacher. A striker in the Olyroos squad, Milislav Popovic has earned high praise from former Milan and Lazio defender Andrea Icardi who sees him as a future Socceroo after nurturing him at his AC Milan academy in Sydney. Olyroos coach Josep Gombau has also given him great praise. 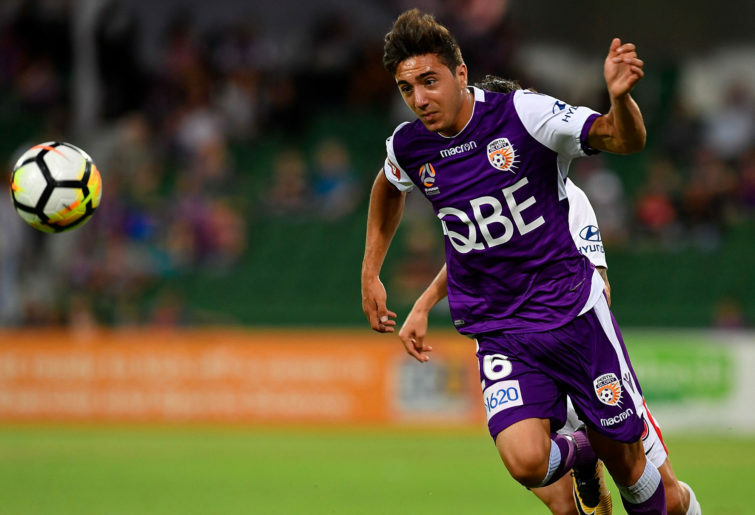 One of the final products of the FFA Centre Of Excellence, Jacob Italiano is currently on loan to Perth Glory from Borussia Monchengladbach and is getting regular first team football at Glory alongside Diego Castro, Mitch Nichols, Andy Keogh and Adam Taggart. Another Melbourne City academy player is Denis Genreau. He soon left Australia to join Dutch club PEC Zwolle under former City coach John van’t Schip, playing in their first team. He has yet to play for the Socceroos in a competitive match but he was selected by Graham Arnold for the training camp in Turkey prior to the Asian Cup. If people were wondering who could fill Aaron Mooy’s shoes, it’s Seb Pasquali. The technically gifted playmaker had just two A-League appearances with Melbourne Victory before moving to Ajax who have a history bringing young players through to the first team, as you can see in their current squad. He came to the attention of Ajax after his 25-minute performance for Victory against Juventus in the International Champions Cup where he displayed excellent vision and ball control. His highlights included a backheel pass that led to an equalising goal, Melbourne’s third, which sent them through to a penalty shootout that they then went on to win, with one goal coming from Pasquali. Cuba would be the future replacement for Luongo. A recent acquisition by Gold Coast United, he has formidable dribbling skills which enable him to weave his way past opponents and tie defenders in knots. 2019 could just be his breakout season in the NPL Queensland but it won’t be long before he moves to Europe. His highlights reel is very good to watch. Currently in Fulham’s academy, Campbelltown born Tyrese Francois is getting interest from Valencia, Crystal Palace and Celtic who are all chasing him even though Fulham are keen to keep him themselves. But he has yet to represent Australia at any level. This young Australian is now at Manchester City Youth after being taken from Manchester United where he was declared Manchester United’s “best 14-year-old from last season”. He was also being chased by Arsenal, Chelsea and Liverpool but it was Manchester City who signed him first. He also scored the winning goal for England in the U16 UEFA Development Tournament against Turkey. Due to being eligible to play for several nations, coach Graham Arnold decided to invite him to the Socceroos training camp in Turkey prior to the Asian Cup. But City sent a letter saying that he was injured, although “there was no medical report or explanation of the injury”. The Melbourne born forward has turned down the chance to play for Italy in favour of wanting to play for Australia and is perhaps our most exciting prospect. After being in the academies of Inter Milan and Torino, he has decided to take the step of joining Renate in Serie C to gain first-team experience. He is an excellent dribbler with great vision and was rated as the “third best player in the world” in his age group when he was 15.
Who said Australia would never produce a Ronaldo, Messi or Ronaldinho? In recent times, Australia’s performances have consistently lacked a cutting edge which has led to a lot of doom and gloom. But in fact, the next golden generation is just around the corner and I think they could even manage to surpass the achievements of the golden generation of 2006. They might just be our best ever. In youth tournaments, we’ve also struggled, but key players from the list above were missing from those line-ups and I think this has created a false sense of weakness in the youth ranks, meaning that our real strength is greatly underestimated. A true test will be at both the 2020 AFC under-23 championship and the Tokyo Olympics next year. A squad with Piscopo as striker followed by Francois, Genreau and Robertson across the attacking three and backed up by Pasquali and Cuba in the double pivot will give a much more accurate impression. Another opportunity to trial players would be at the Kirin Challenge Cup coming up in June this year, in Japan. While there’s still a bit of doubt over whether some of these players will choose to play for Australia, I think they’ll be more likely to do so if they are made aware of the other players who will be their teammates. If they don’t know about each other then they won’t know just how competitive Australia could be. You don’t want them thinking that playing football for Australia would be like surfing for England. If we can lock down Piscopo, Francois and Robertson it’ll be a huge help and really bolster our stocks. It’s looking like we could have an incredibly technically gifted group of players by the next World Cup who will be playing at top clubs in Europe by then and we should be building a squad around these players. Competition for starting places will be intense. Look at the World Cup winning French side and how young their squad was, just as an example. Looking at the list of future Socceroos which I have put together, these players will be similar ages to what the French squad were in Russia by the time the next World Cup comes around. If you want to catch a wave you need to get ahead of it early so that you’re ready. Whether they can match France by going all the way and winning the 2022 World Cup, who knows. But they’ll certainly give it a pretty good go and quite possibly make it past the round of 16. They’ll also set themselves right up for the one after that in 2026 in America, Mexico and Canada. Whatever may come of the A-League after the next TV deal, the future of the Socceroos looks very bright indeed and it’s something we should all be positive about. In fact, it could be the success of these players at the Olympics and World Cup which could be what it takes to revive interest in the A-League and enables it to reach its full potential. It’s always darkest before the dawn.